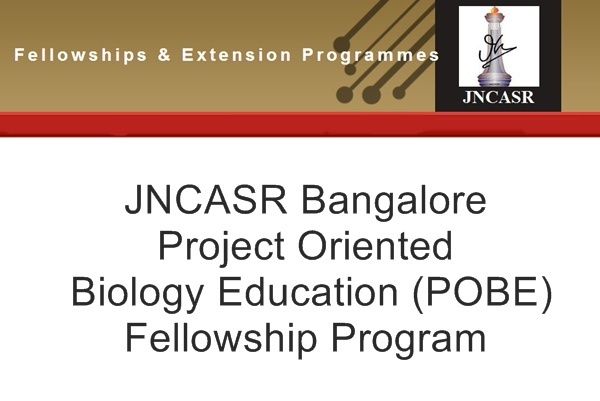 Jawaharlal Nehru Centre for Advanced Scientific Research (JNCASR) offers Project Oriented Biology Education (POBE) Program for students studying in B. Sc first year (Science Stream) to explore their academic potential, stimulate deeper interest in science and infuse creativity and scientific temper among undergraduate students. As part of its Science Outreach Program, in 2006 the Centre initiated a new program in biology for undergraduate students from other Institutions. Selected students are exposed to the concepts and methodologies driving integrative research in biology today, through a combination of lectures, laboratory projects and research.